One of the coolest movies of the summer is finally here! 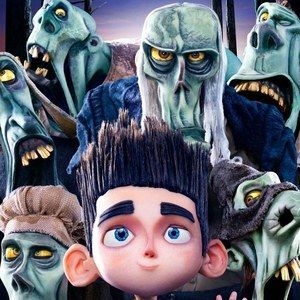 ParaNorman is the new stop-motion adventure from the makers of Coraline, and it follows a young outcast boy whose frowned-up ability to converse with the dead might just save is small hometown from a zombie invasion. We wanted to get the lowdown on this hilarious and spooky ode to the horror genre, so we sent Ryan J. Downey in to speak with ParaNorman himself, Kodi Smit-McPhee, as well as his voice actress co-star Anna Kendrick and the movie's two directors Chris Butler and Sam Fell. Watch as ParaNorman resurrects these exclusive interviews from the dead!